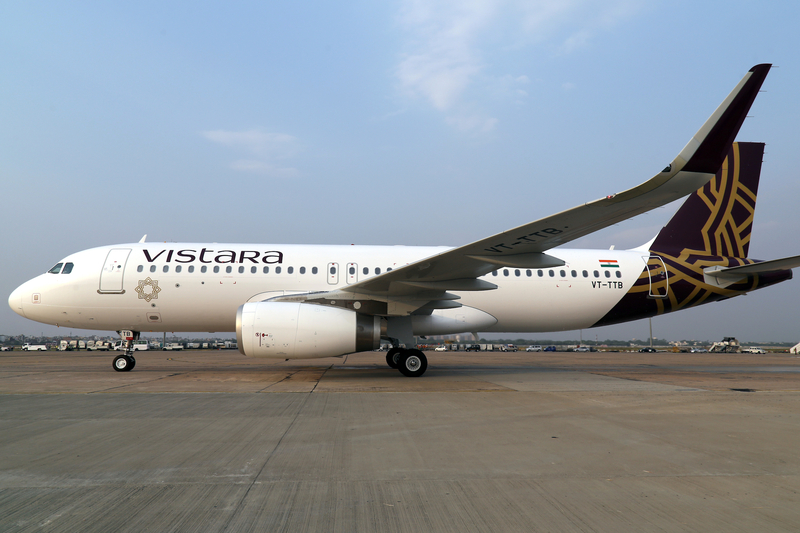 After the successful commencement of Check-in facility by Air India and Jet Airways at New Delhi and Shivaji Stadium Metro station of Airport Express Line last year, ‘Vistara’ on tuesday became the third airline to commence check –in facility for its passengers using this Line. ‘Vistara’ on tuesday started check-in facility from the New Delhi Metro station of the Airport Express Line inaugurated by Dr Mangu Singh, Managing Director/DMRC and Mr. Phee Teik Yeoh, CEO, Vistara in the presence of Mr. Ashwani Lohani, CMD, Air India and other senior officials from DMRC, DIAL, Air India, Jet Airways. This facility would help airport bound passengers of ‘Vistara’ who can check in at the station at their convenience or drop their baggage if already checked-in using Vistara’s website or mobile app. Appreciating Airlines effort on the occasion, Dr. Mangu Singh, MD, DMRC said, “This initiative is expected to benefit the flight bound passengers and encourage them to use this facility also while travelling on the Airport Express line. We expect more and more Airlines to come forward and introduce check-in from these Metro stations to give their passengers an alternative and also a world class experience with great convenience on the Airport Express Line”. The occasion was also marked by the announcement of record 2 lakh passenger baggage check-in at these two stations since the DMRC took over the operations of Airport Express Line from July 2013. The baggage check-in by Air India & Jet Airways which used to be around 40-50 per day earlier touched an all time high of around 500 per day in the month of June 2017. This is an increase of almost ten times and an indication of the growing popularity of the check-in facility available on the Airport Express Line. This figure is going to increase further with Vistara too joining the league of Air India and Jet Airways from today. The introduction of check-in facility is the outcome of sustained joint efforts by DMRC,DIAL, Air India and Jet Airways in the direction of a smooth and comfortable journey both at the Metro stations as well as the Airport. PROCEDURE OF CHECK-IN: The airport passengers can obtain their boarding pass at the city check-in counters operated by these Airlines and check-in the luggage as well at both New Delhi and Shivaji Stadium Metro stations of Airport Express Line. The checked-in baggage then gets transferred to IGI Airport’s Terminal-3, through a secured Baggage Handling System (BHS). The highly sophisticated BHS ensures that baggage reaches airport in time. Check-in can be done from 02 hours to 12 hours before the scheduled departure of the flight. The flight check-in facility from the stations closes two hours prior to the departure time. Free luggage trolleys are also available for passengers at the entry gates and platforms at all Metro stations of the Airport Express Line.